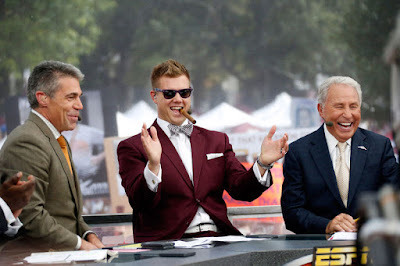 Shirts With Random Triangles: That Time Jonathan Papelbon appeared on ESPN College GameDay. 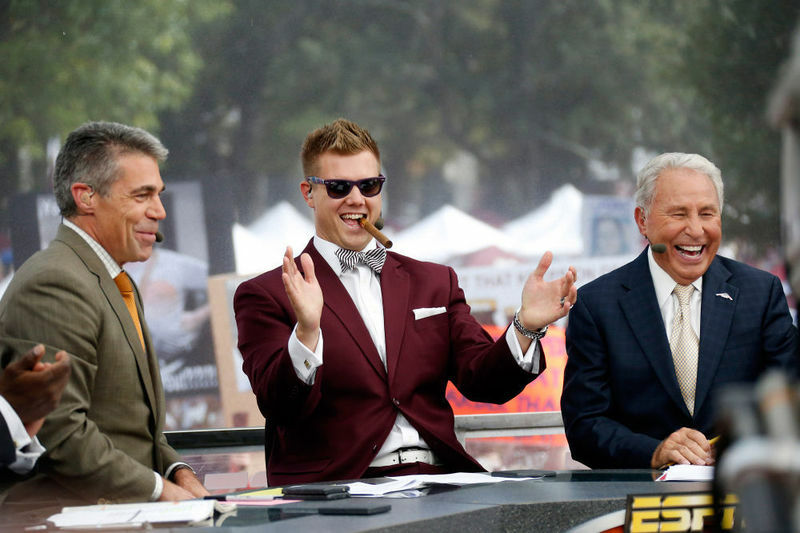 That Time Jonathan Papelbon appeared on ESPN College GameDay. Washington Nationals relief pitcher Jonathan Papelbon decided to graphically represent the Nats' collapse this season by trying to choke star right fielder Bryce Harper as he returned to the dugout in the eighth inning. While America bemoans the fact that Mark Richt Matt Williams has lost control of the Nats, here's a reminder that this act could have been prevented. The fact that Papelbon is a total douchebag is nothing new. He showed his douchy side last season on ESPN College GameDay, when he was the guest celebrity picker when the program broadcast from Mississippi State last season.